Get Kim’s Music on iTunes Here! In 2001, the world witnessed the official breakout of songstress Kim Sozzi upon the release of her hit single, “Feelin’ Me.” Since then, she has been a dominant force in the music industry, achieving an impressive 10 top number five Billboard hits and releasing three number one songs consecutively on the Billboard’s dance charts in 2009: “Feel Your Love,” – the number one most played dance song of the year, over Lady Gaga’s “Poker Face” – “Kiss Me Back” and “Secret Love”. Following these remarkable achievements as a recording artist, Kim discovered a whole new element of her passion. Asked by her father Rick Anthony to sing a number at a wedding, she said yes, joined the band for the night…. and never left! To her complete surprise, she fell in love with the whole experience – the beauty, the joy, the monumental energy and the direct, deeply personal connection to the couple and guests. Kim has since joined her father in leading and managing Creations, bringing her rare brand of vocal talent, vibrant energy, warmth and professionalism to every type of event all over the world, while directing and cultivating the unparalleled musical work of the Creations band family. Aptly named the “Dance-floor diva” by The New York Times, Kim feels closely invested in every event she does, treating each and every celebration as though it were her very own. For her, performing at milestone events from weddings to Bar or Bat Mitzvahs to corporate or non-profit is not just a singular privilege – but a responsibility to make the evening a unique success, one she happily embraces over and over again. Kim’s enthusiasm for music began at an early age. Propelled by watching her father’s band rehearse and perform, she credits him with her diligence and unstoppable work ethic. In 1997, she was discovered by Tommy Motolla and signed by Columbia Records, making a name for herself with her very first single, “Letting Go,” which was featured on “Dawson’s Creek,” along with the show’s multi-platinum soundtrack that sold more than two million copies worldwide. Kim quickly became a hot commodity and was snatched up to perform with the Lilith Fair Tour in 1998. Shortly after, her single, “Till I Cry You Out Of Me” was released, and was featured on the “Teaching Mrs. Tingle” soundtrack. While living in Germany and developing an international audience, Kim recorded “Show Me the Way” with famed singer Jose Carreras of the Three Tenors. Recording under the name Kim Styles in Europe, she rounded out her contract with her record label by releasing the single, “Every 1’s A Winner,” which was followed up with a sizzling award-nominated music video that was in consistent rotation on MTV. Kim and Creations have had the privilege of working with such artists as Justin Bieber, Lady Gaga, Pitbull, The Pussycat Dolls, Flo-Rida, John Mayer, Fantasia, the Backstreet Boys, Kevin Rudolf, Cascada and many more. Her stage credits include the off-Broadway hit, “My Big Gay Italian Wedding”, and she also co-produced and starred in “The Groove Factory” – an official selection of the New York Musical Theater Festival. Today, Kim has happily dedicated herself to creating unforgettable events, sharing her talents as a performer, manager, and mentor with thousands of grateful clients and celebrants around the globe. When not at work, she enjoys her home in Oyster Bay Cove with her husband and baby son. Brought up in the Bronx, NY, Rick picked up his first instrument – an accordion – and learned how to read music at the age of 14. What followed was a spectacular career he never could have imagined that had him performing with some of the greatest luminaries the music industry has ever known. Rick’s first “big gig” was singing with The Crystals from 1958-59 – and at the time, he also had the privilege of collaborating with Dion and The Belmonts. In 1965, his new band Creations began playing regularly at the Copacabana in New York City. Rick lit up the Copa lounge seven nights a week, right beside Sammy Davis Jr., Bobby Darrin, The Four Tops, Tom Jones, and more – often joining them in duets. In the late 60’s, Creations left the Copacabana and became one of the first acts to ever be signed by the prestigious Norby Walters Agency. 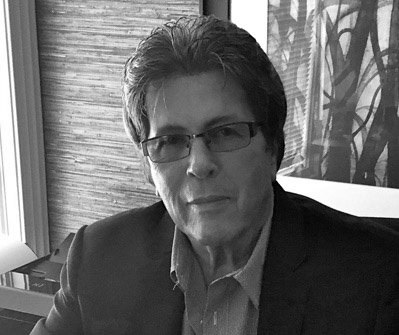 In the 70’s, Rick took his passion and talent for music, legendary experiences, the unshakable work he has had since childhood, and his uncanny ability to foresee the next trend and strove to redefine the “event entertainment business” – nurturing and demanding the same levels of artistry as the most recognized musicians in the world. With his extraordinary knack for spotting and cultivating raw talent, Rick has turned Creations from one of the most sought after bands in New York to an ever-growing family of international talent that dazzles at private and corporate celebrations alike – and a leading resource for music and event production of every kind. This dedicated “talent guru” is well known in the industry as a director who understands the capabilities of young musicians before they even do, and steers them in the right direction with confidence. His bands and performances are carefully crafted from musicians that share the dedication, loyalty, professionalism, perfectionism and sublime musicianship that Rick himself commands. Rick is the proud husband of over 30 years to Kepi Sozzi, and a beloved father and grandfather – and mentor to countless lucky musicians who have crossed his path. 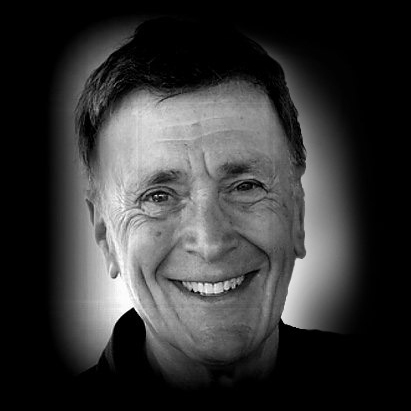 Jack’s illustrious history as one of the greatest Jazz musicians in New York – performing on saxophone for a star-studded roster of audience members that have included not only Hollywood celebrities but Presidents and members of British royalty – turned to management with his company Mark Towers Music, which booked bands for all the major hotels in New York, including the Plaza and Pierre. At Creations, we are delighted to have Jack direct Jazz/cocktail music wherever required or desired, uniquely tailoring each program to the celebrants and audience with his signature touch. 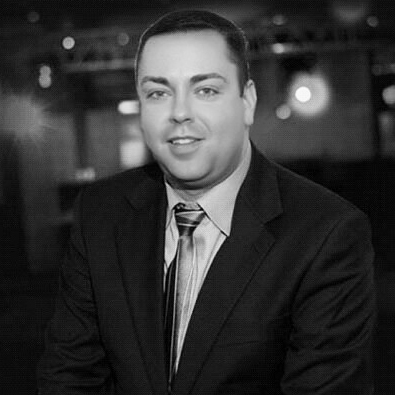 Steven brings his vast experience to manage the talents and bookings of all Creations DJs. He also creatively customizes lighting, sound and all aspects of production for each of our events, with a rigorous attention to detail and standout aesthetics. Alyssa is our central coordinator, expertly managing all venue details and travel plans for destination events. She is also our office manager in charge of day-to-day organization –the key details we rely on for every commitment, project and event. A former Creations bride, Megan booked us for herself after thoroughly vetting every event band in New York. A foremost expert in the wedding industry, we were thrilled when she wanted to join our team and share her knowledge and enthusiasm with new Creations clients. Cindy Altunis has a positive personality that brings vibrancy to every event she plans. She was born in Istanbul, arguably one of the most visually intoxicating cities in the world. She was inspired by architecture that transcended generations and beauty in nature. Her love for detail and design drove her to pave a successful career in the wedding and event-planning field. 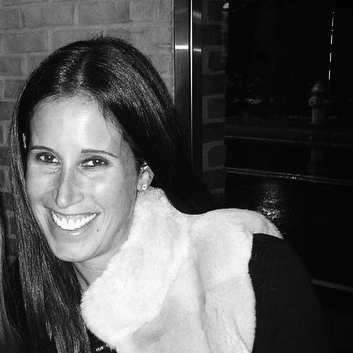 Cindy possesses over 12 years of wedding and event planning and production experience. She contributed eight years as a Senior Event Manager at Gotham Hall in New York City — one of the most sought-after and prominent venues. Her weddings are nothing short of exquisite, as she breathes her own breath of life into clients’ visions and transforms them into a beautiful story. She ultimately started her own company to fulfill her dream of entrepreneurship. One of her greatest joys is using her innovation and attention to detail to transform a mere idea into an awe-inspiring and memorable wedding — one that is dreamlike and unique. Cindy is a kindhearted soul who cherishes positivity, determination and self-improvement. She values the delicate balance between a successful career and a loving family life. She is the proud mother of two children, both under the age of three. She has multitasking mastered! Her highly visual events and one-of-a-kind ideas are trendsetting, and clients seek Cindy out for imaginative and creative solutions that bring a unique setting to every event. She never tells the same story twice, because every couple and every love is unique. Her passion shines through every part of the process, making it joyful and worry-free to plan a breathtaking wedding. Her superior communication skills provide you with the answers you need, every step of the process.